in some other cases, you'll find a difficulty in navigating To-And-Fro in SharePoint Central Administration. So, Resources list comes handy to manage this hassle. Just add your frequently accessed links to it! 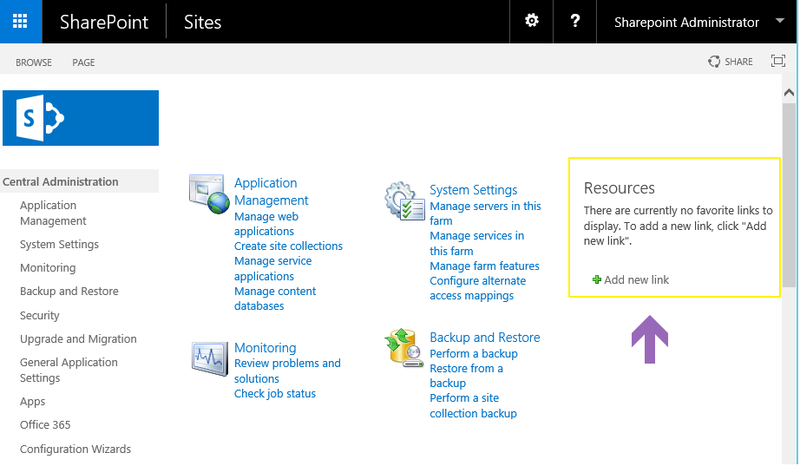 When you log into SharePoint Central Administration site, you'll see the Resources link list in right pane. Consider Resources list as your Favorites or Bookmarks List! From here you can add or delete the link like any list item. This saves time and effort, especially if you have trouble finding service applications in Central Admin. 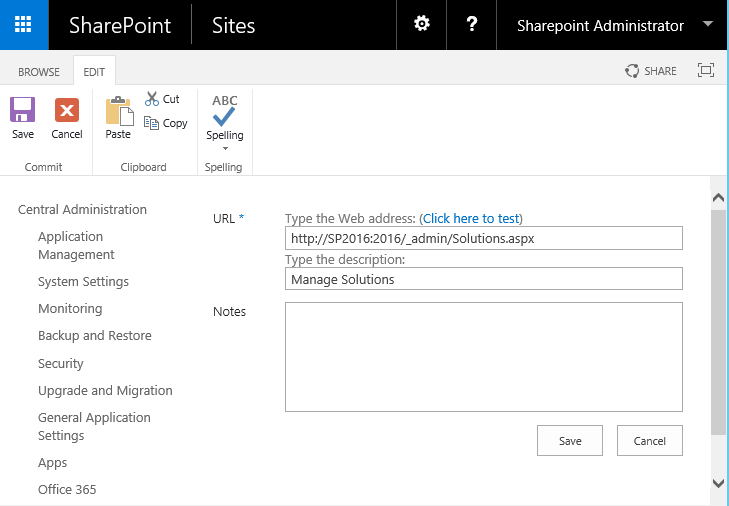 Lets use PowerShell to add items to Resources list in SharePoint Central Administration site.